It’s Kentucky Derby week and in this episode of Fast Horses, Slow Whiskey we’re joined by Hall of Fame Jockey Gary Stevens and trainer Graham Motion to preview the first leg of horse racing’s Triple Crown! 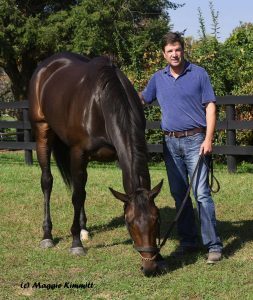 Hunter Rankin shares his insights on some of the early favorites in the 143rd running of the Kentucky Derby and Brian Treacy of Sagamore Spirit talks about our Maryland Rye twist on the Mint Julep. 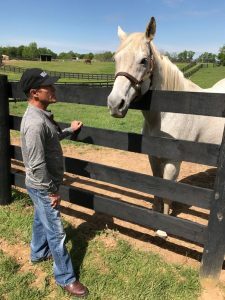 Gary Stevens, Hall of Fame Jockey who has won each leg of the Triple Crown three times, talks Royal Mo‘s talent and similarities to Silver Charm. He also looks back on Beholder and more! 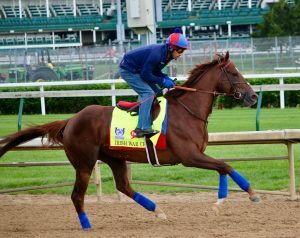 Notable for his work with 2011 Kentucky Derby winner Animal Kingdom and Better Talk Now, renowned trainer Graham Motion shares insight on Irish War Cry as he prepares to run for the roses. He also talks about about Sagamore’s co-owned Miss Temple City’s 2017 debut in the Distaff Turf Mile on Derby Day. Listeners can expect bi-weekly episodes of Fast Horses, Slow Whiskey featuring guests from the racing and whiskey industries, sports community and beyond! Subscribe to the podcast here. Episodes are available for download on iTunes as well. Follow us on Facebook and Twitter for updates. Have a topic you’d like Hunter and Brian to discuss? Send us an email here or leave a comment on social media.